Every four years in the United States of America, we have a time of great contention and debate: the Presidential election. Throughout the year, politicians from both parties argue and debate about the best way to run our country. These discussions turn into heated arguments very quickly. While, typically, physical and violent fights do not break out, the war of words can get very nasty and ugly. This election year is especially important, as one side tries to continue advancing their beliefs about how to run the country, while the other side tries to stop the tide from continuing for the next 4-8 years. As a great commentary on this election year, Marvel released CAPTAIN AMERICA: CIVIL WAR, the third Captain America movie. It not only features Captain America, but includes most of the Avengers viewers have come to know and love, some of whom have been introduced over the past couple Marvel movies. As a result, it is a movie event the size of which is seldom seen these days. CIVIL WAR is also unique because the Avengers are mostly fighting within their ranks, instead of against a particular villain. Both sides have different beliefs about the best way to deal with superheroes, and this disagreement gets downright physical and violent. How does this relate to the current state of politics? Although it can be fun watching superhero movies, knowing that they aren’t based in reality, we can’t escape the real world we currently live in. The election year touches all of us, no matter our feelings toward politics. This election year, especially, has heavily divided our nation. The divide has been festering for a while, considering the utter unwillingness for the two major parties to coincide in any way in all of national politics. On one side, we have those who believe that law is more important than liberty. The government should regulate everything, including education, the economy and our rights, in order to ensure that people and those affected by their decisions are controlled. The fear is that, left unchecked, the actions of individuals and groups will destroy our country, whether or not they believe that what they are doing is right. The other side, however, emphasizes liberty over law. The government, while important, shouldn’t regulate everything in our lives. This side fears that too much government regulation will override our liberty, and that the government will overstep their boundaries, ending the ability for the people to self-govern, which will lead to greater destruction. 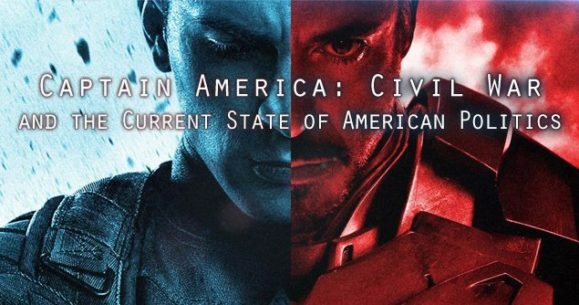 The two sides described above are diametrically opposed to one another, and CAPTAIN AMERICA: CIVIL WAR takes full advantage of this division. In the Marvel world, after the events of AVENGERS: AGE OF ULTRON, the Marvel world saw a glimpse of just how dangerous superheroes can be. The capital city of the European country Sokovia was lifted up in the air and almost destroyed by Ultron, who was created by Iron Man. Also, the Hulk wreaked havoc in the streets of Johannesburg, South Africa. In CIVIL WAR, both of these events led to the creation of the Sokovia Accords, a plan supported by over 100 countries to have the Avengers controlled by the United Nations. When a bomb kills the King of Wakanda, the resolution’s lead sponsor, the blame is focused on Winter Soldier, Captain America’s childhood friend who escaped the influence of HYDRA in the last Captain America movie. Cap, refusing to believe Winter Soldier was guilty, vows to protect him from the government. His decision causes a great divide among the Avengers, with one side led by Iron Man, who signed the Accords, and the other side led by Captain America, who refused to sign the Accords. As a result, a huge war ensues between the two sides. Iron Man’s side believes their actions have not been held accountable for too long, emphasizing the need for government regulation of the Avengers, which stresses law over liberty. For the most part, Iron Man’s team feels guilty for leading to the deaths of civilians, fearing that, if their actions are not held in check, they will destroy the very thing they are trying to save. Captain America’s side, however, fears that the government will force the Avengers to fulfill petty political agendas instead of having the liberty to do what they know is right, which emphasizes liberty over law. Cap’s team also feels guilty for leading to the deaths of civilians, but they are of the opinion that the damage would be worse if the governments of the world controlled the Avengers and prevented them from doing what the team feels is right. Thus, if they feel that intervening in a particular situation is the right thing to do, and they aren’t allowed to intervene, or if they feel that intervening in a particular situation is the wrong thing to do, and they are forced to intervene, they can’t live with the consequences. This battle of ideas and fears controls both sides throughout the whole movie, culminating in bitter brawls. One side must win, and there is no turning back. The ideas of law and liberty are two of the most important ideas that govern the current state of politics. Different people tend to emphasize one over the other. Ideally, we should be able to settle our differences and figure out a way that both ideas can work together side by side. However, because of the sinfulness of man and the fears that guide our actions, this is tough to accomplish. People led by fear and sin find it hard to come to a compromise with those who disagree with them. This causes a great divide in not only the country, but also in several smaller groups like families and churches. Eventually, the divide gets so large that fights ensue over the competing ideas, whether vocally via words as in the real world, or physically via fighting as in CAPTAIN AMERICA: CIVIL WAR. A solution must be found, however. Otherwise we will tear ourselves apart. The voters have an important decision to make this election year. They can choose to support those who fear government overreach and believe in self-government, or support those who fear loss of accountability by the people and don’t trust self-government. While watching CIVIL WAR, people can choose to support Iron Man or Captain America. However, despite agreeing with one side or supporting one side, they should learn how to cross the great divide between the sides, and solve the disputes before they tear the country apart. Of course, the Gospel of Jesus Christ offers a Both/And solution to this conflict between Law and Liberty. It teaches us to support both Law and Liberty, to create local political or governmental institutions, but to limit the power of that political governance by giving limited power also to churches to discipline their members and to individual people to govern themselves by seeking God’s righteousness (Matthew 6:33) and the fruit of His Holy Spirit (Galatians 5:13-26). This Christian model provides, in fact, the sacred roots to the Spirit-filled genius that is America and that resides in its founding documents, including the United States Constitution, the Declaration of Independence, the Federalist Papers, and the Anti-Federalist Papers. 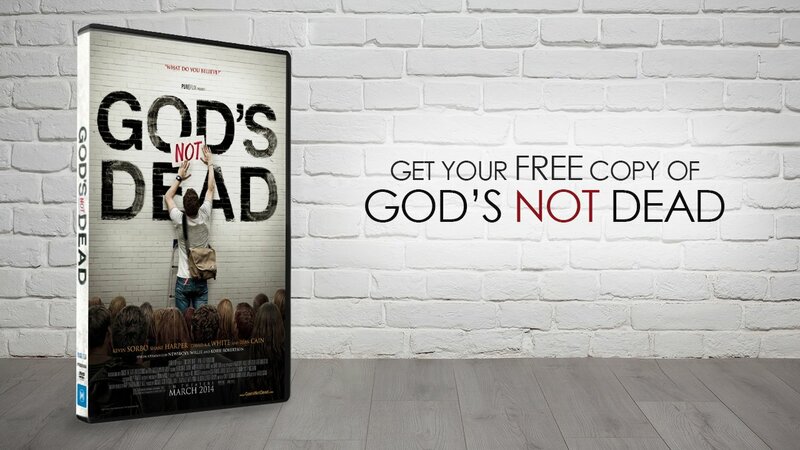 Let us follow the lessons learned after watching the movie CIVIL WAR while we apply this Christian model to today’s society, so that America, the land of the free, and its citizens can continue to do great things for many years to come.